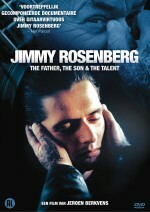 Jimmy Rosenberg, a Sinti-gypsy, was born in 1980 in Helmond, the Netherlands. Just when twelve year old Jimmy got a contract offered at Sony, already sharing the stage with big stars like Eric Clapton and James Brown, his dad and manager got into prison for 8 years for killing his son-in-law. This event marked the turning point in his young life. Jimmy got addicted to drugs, and also due to psychological problems he was unable to sustain his promising career. Film-maker Jeroen Berkvens followed 23 year old Jimmy for three years and shows a well-balanced and impressive view on the tragic occurings and how Jimmy lives his life today. In the mean time, Jimmy has had his come-back, so you can check out his fabulous wizardry for yourself at the 2 planned concerts in Utrecht and Paris. This entry was posted in Documentaries, movies, Music and tagged documentary, gypsie music, jeroen berkvens, jimmy rosenberg. Bookmark the permalink. About the first comeback concert, it did not take place this summer, but on March 5th 2007, and at Paradiso Amsterdam, after the viewing, and for the occasion of, the premiére of Jeroen Berkvens’ Polish award winning documentary! Meanwhile the documentary did recieve the Dutch movie award a “Gouden Kalf” (golden calf) as well, on saturday Oktober 6th 2007! Also, the link about 2 planned concerts, leads to a wrong URL, because of typo’s.